On 25 June, Executive Director and President of China Power, Tian Jun, along with other company representatives paid an on-site inspection visit to the "Yaomeng Power Company" 平頂山姚孟發電有限責任公司 (Pingdingshan Yaomeng Electric Power Company Limited*). 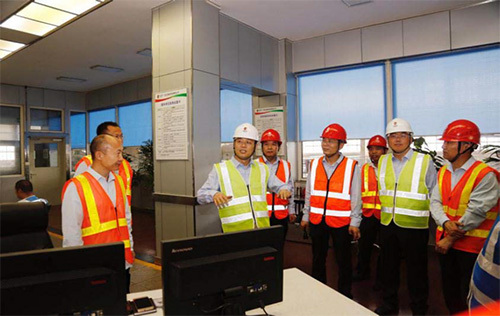 Tian Jun and his entourage initially came to the Yaomeng Power Company to learn more about operational and maintenance details of the various facilities. Following an inspection of the machine control room, the group went to the party sub-division activity room to have a friendly chat with frontline workers on topics related to employee training and team building, among other issues. At a production and operations conference, a representative from the Yaomeng Power Company reported on safety production matters and gave an update on the latest status about prospective operational developments during the first half of 2018. After the report was delivered, Tian Jun fully approved of Yaomeng Power Company's various achievements in production management, power capacity acquisition, and financing. 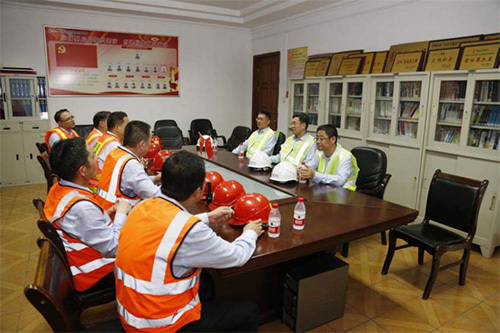 He added that the Company should remain united with workers, staying resolute to serve as an advanced exemplary production unit, maintaining the highest ratings in various operational indicators in Henan. 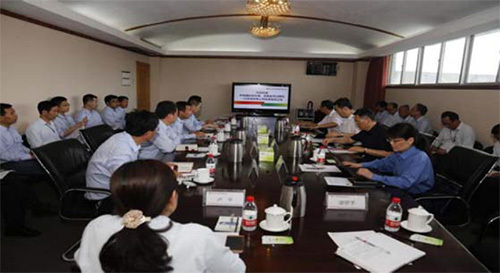 Focusing on future measures to consider in due course, Tian Jun first stressed issues on safety management and production management as well as improving management standards and enhancing overall facilities management. In terms of operations, Tian Jun said "We must leverage our comparative advantages and do our best in terms of electricity sales and marketing while reducing facility maintenance costs." He spoke on a third point, relating to the need to continue developing electricity power and heat supply markets while increasing the revenues derived from the electricity power service station. He also encouraged the Company to strengthen staff training.